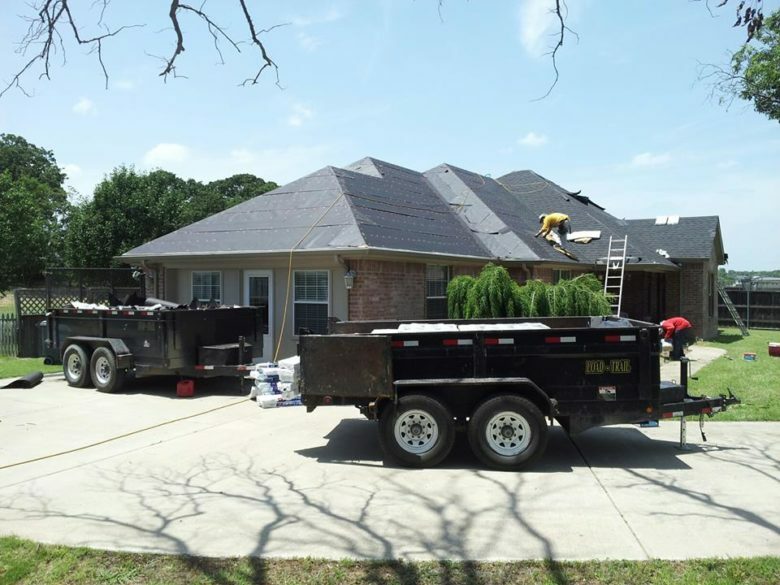 Our company, Roofing & Remodeling of Dallas, sets the standard that other roofing companies can only aspire to, and we are proud of the reputation that we have established. Since 1990, we have been providing top-quality residential roofing repairs in Dallas proper, and we have a wide additional service area. We can be called upon if you need roofing contractors in Plano, Richardson, Wylie, McKinney, Lewisville, Frisco, or Allen, and we provide free repair estimates. We do get called out to repair a lot of roofs, because we get some heavy hail storms in our area, and there are other types of storm damage that can take a heavy toll on your roof. If it can be repaired, you can rest assured that our expert technicians can get the job done. At the same time, in some cases, a roof replacement is the only option. This is an area of expertise for our roofing contractors. We source our roofing systems from industry leaders, and we install them with impeccable precision in a timely and affordable matter. When it comes to commercial roofing companies, we can say quite humbly that we are the cream of the crop. With over 18 years of experience providing roof repairs and roof installations for local businesses of all shapes and sizes, we are uniquely qualified to handle these assignments. No job is too large for our roofing contractors, and our commercial services are available to businesses in Plano, Allen, McKinney, Richardson and all other cities in the Dallas metropolitan area. As they say, a picture is worth 1000 words, and this certainly applies to the work that is done by roofing contractors. We have a project gallery on this website that contains some visual examples of projects that we have completed for our clients. You can click this link to reach our commercial roofing gallery section. There is also a testimonials page that you can check out to see what our satisfied clients have to say about our roofing contractors. If you are interested in getting a roof repair or a roof replacement from the most trusted roofing company in Dallas, we are standing by to help. You can reach one of our friendly, knowledgeable representatives by phone at 972-231-7663, and if you would like to reach out electronically, visit our contact page.